Bauma CHINA 2018丨Over USD 10 Million! With colored flags waving in the air, a line of iron arms are extending towards the sky. In the Ninth Bauma CHINA 2018 held at Shanghai New International Expo Centre, the global brand “XCMG Gold” was exceptionally eye-catching. A story that perfectly combines the pillar of a big nation and a client of Europe is being staged. On the morning of November 27, in the witness of Mr. Wang Min, Party Secretary & Chairman of XCMG, Russian State Duma lawmaker Pawel·Mikhailovich·Fedyayev, Mr. Lu Chuan, President and Deputy Party Secretary of XCMG Machinery & Chairman of XCMG IMP.&EXP. CO., LTD. President of SBU Group Mikhail·Yuryevich·Fedyayev, Deputy General Manager of XCMG and General Manager of XCMG Mining Machinery Li Zong as well as of thousands of guests from home and abroad, Dr. Liu Jiansen, Deputy President of XCMG and General Manager of XCMG Import and Export Co., Ltd., signed a strategic cooperation agreement with General Manager of KBA Company Valery·Alexandrovich·Tubaba. After signing this agreement, the two sides held hands tight, representing win-win cooperation. At this moment, all the witnesses simultaneously started giving thunderous applause that immediately heated up the atmosphere and it took long before it died down. 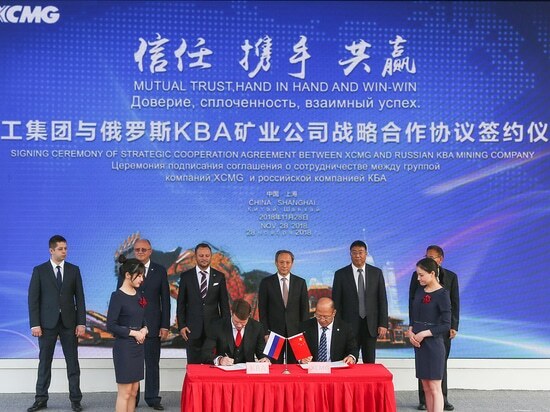 The tight-holding hands embody not only the full trust at each other, but also symbolize XCMG’s ambition that targets the high-end mining market of the globe and the bold to tap into European market with the complete set of mining equipment, which represents the highest manufacturing standard of China. General Manager of KBA Company Valery·Alexandrovich·Tubaba expressed that, XCMG is one of the world's most famous multinationals in construction machinery industry, its products have been significantly influencing the world and enjoying a good reputation. 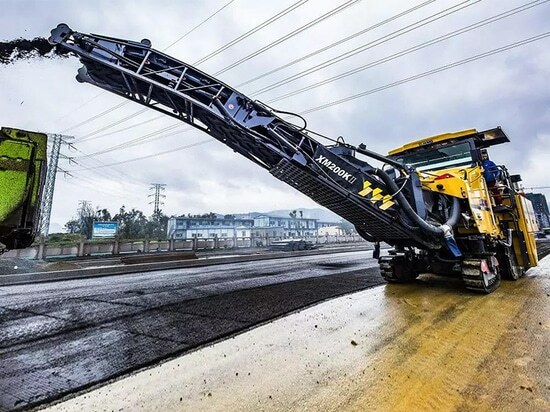 XCMG’s complete set of large-scale mining machinery has powerful construction capacity, notch-flight equipment, complete after-sales network system and “Leading Technology and Everlasting Products”, all of these traits have been highly valued by them. So they are confident to cooperate with such an excellent corporation. Reportedly, KBA is a very influential company in Russia and even in the entire East Europe. Vladimir Putin, the President of the Russian Federation once inspected this company on August 24. This company has strong strength and enormous influence in this industry. With colored flags waving in the air, a line of iron arms are extending towards the sky. 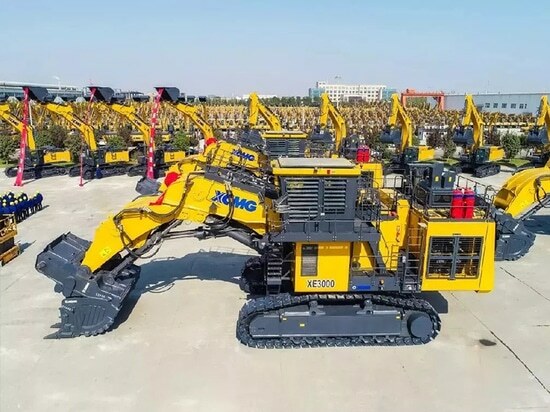 In the Ninth Bauma CHINA 2018 held at Shanghai New International Expo Centre, the global brand “XCMG Gold” was exceptionally eye-catching. A story that perfectly combines the pillar of a big nation and a client of Europe is being staged. On the morning of November 27, in the witness of Mr. Wang Min, Party Secretary & Chairman of XCMG, Russian State Duma lawmaker Pawel·Mikhailovich·Fedyayev, Mr. Lu Chuan, President and Deputy Party Secretary of XCMG Machinery & Chairman of XCMG IMP.&EXP. CO., LTD. President of SBU Group Mikhail·Yuryevich·Fedyayev, Deputy General Manager of XCMG and General Manager of XCMG Mining Machinery Li Zong as well as of thousands of guests from home and abroad, Dr. Liu Jiansen, Deputy President of XCMG and General Manager of XCMG Import and Export Co., Ltd., signed a strategic cooperation agreement with General Manager of KBA Company Valery·Alexandrovich·Tubaba. After signing this agreement, the two sides held hands tight, representing win-win cooperation. At this moment, all the witnesses simultaneously started giving thunderous applause that immediately heated up the atmosphere and it took long before it died down. 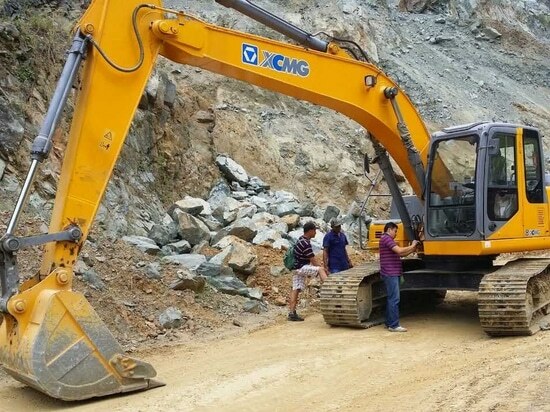 The tight-holding hands embody not only the full trust at each other, but also symbolize XCMG’s ambition that targets the high-end mining market of the globe and the bold to tap into European market with the complete set of mining equipment, which represents the highest manufacturing standard of China. 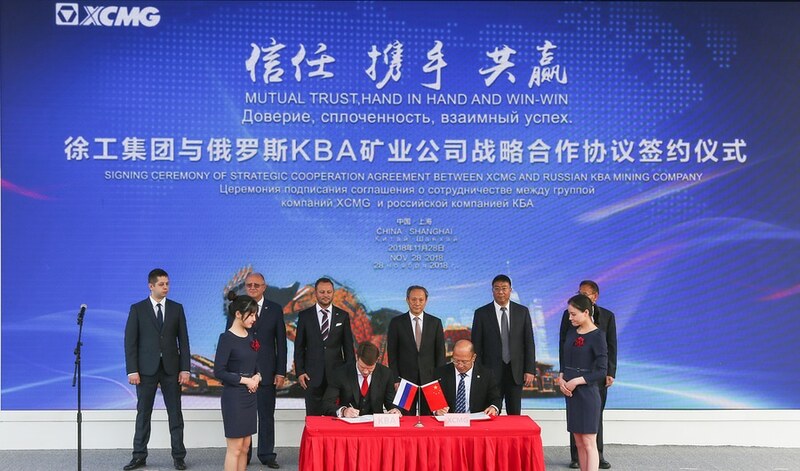 General Manager of KBA Company Valery·Alexandrovich·Tubaba expressed that, XCMG is one of the world's most famous multinationals in construction machinery industry, its products have been significantly influencing the world and enjoying a good reputation. 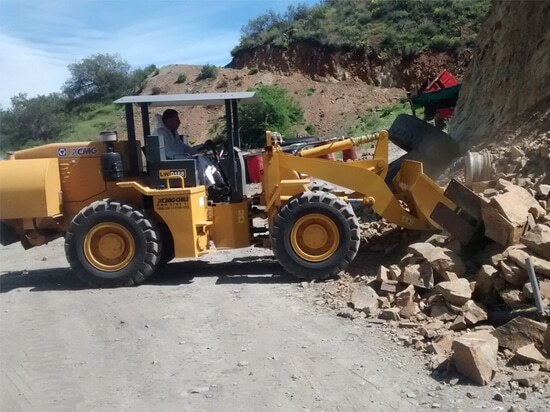 XCMG’s complete set of large-scale mining machinery has powerful construction capacity, notch-flight equipment, complete after-sales network system and “Leading Technology and Everlasting Products”, all of these traits have been highly valued by them. So they are confident to cooperate with such an excellent corporation. Reportedly, KBA is a very influential company in Russia and even in the entire East Europe. Vladimir Putin, the President of the Russian Federation once inspected this company on August 24. This company has strong strength and enormous influence in this industry.